UNIVERSITY Paton Instruments (UPI) has announced the PowerSig M560 digital transducer. 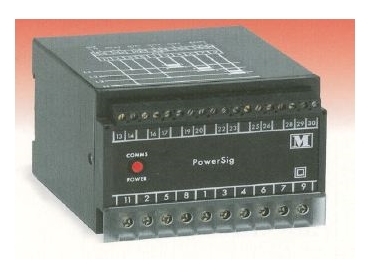 Measuring all power variables, including demand, the PowerSig communicates via RS485 Modbus protocol. Powersig also has the capability of up to three analog outputs (4-20A, 0-10mA, etc) being assigned to almost any power variable. A pulsed output or control relay option is also available. University Paton Instruments 089256 8888.